All the hardware on the carrying case is made of a heavy metal instead of plastic, increasing its durability and ease of use. 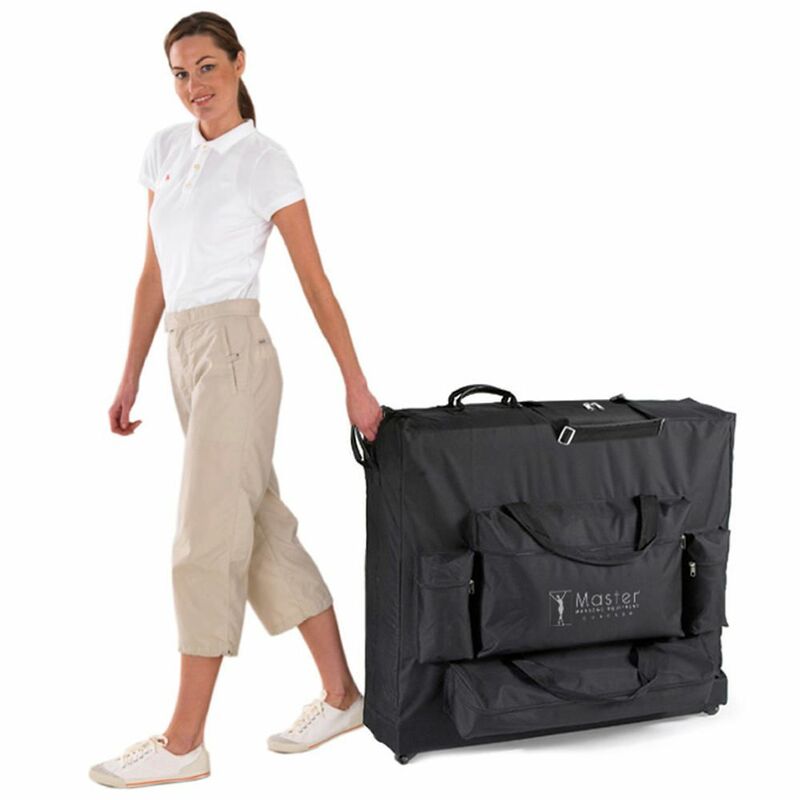 Our luggage-style, wheeled, universal massage table carrying case has ergonomically placed reinforced handles that enable balance and easy maneuvering. The wheels are high-impact nylon with ball bearing glides, making them smooth and indestructible. All the hardware on the carrying case is made of a heavy metal instead of plastic, increasing its durability and ease of use. Four pockets are provided, including one for your comfort bolster! The boot style, unbreakable bottom case construction is better than any we have ever seen! This portable-folding massage table carrying case was designed to accommodate any 25 - 31 inch wide portable massage table. It comes protected with a 3-Year Guarantee against manufacturer defects in the table materials and craftsmanship.